i agree, i am not asking anyone to join a community without full disclosure. i am simply trying to start an interest and connection. i am happy to talk on the phone with any one who interested. having lived and worked in many communities i know it takes lots of time and connection to get to a point of partnering as a community. i am interested in both renters and long term community members. there are lots of plans and potential here. the location, the stream, the land is amazing. ultimately you;ll have to visit to understand. we are located near port townsend. we have an opening still. there are applicants, but not the best ones. if you are interested. please apply. A farm and forestry collective designed to maintain food, water, and resource security for long term health of its members and our region. We aim to use mostly perennial agriculture and silviculture to establish an economically viable and low maintenance permaculture system. We seek to host a tight group of smart members to support and run the collective farm. We are seeking to add new members to our collective. We are just establishing all of our invisible structures now and its a great time to get in early. we have some basics in so far in terms of infrastructure and people. We have great forested slope land with multiple streams. we aim to do lots of perennial ag, with lots of overstory nuts and chestnuts. We are seeking members like ourselves, that is extremely: drive, self motivated, skilled, passionate, financially abundant, and committed. We are seeking people specifically with plumbing, carpentry, milling, and handyman skills. We currently have people very advanced in these fields: livestock, horticulture, design, chef, business. We ask that all new candidates have their own housing that they would enter with. We are seeking a couple, and ideally one with a child or two to move in this spring. We want them to help run this property and its projects. Thus we are asking for $250 of rent a month and 10 hours of work trade per month. Income sharing opportunities exist. Large garden and orchard that is shared for community use. lots of details to discuss. rv or tiny home needed to move in. fully utilities are ready. there are a very large number of applicants; there are many people moving here and viying for opportunities. thus if you want to inquire you must submit a background/resume/statement of interest of some form to be considered. this is a very serious and consciously crafted position. please only apply if you are healthy, practiced in this lifestyle, and are ready to commit to a great community and project. we would invite a family like yours. we will first need a proposal and background in order to consider you from the many applicants. you would also need your own living structure. i am willing to have a conversation. we have an amazing 9 acre property in discovery bay on the olympic peninsula. using permaculture principles we have developed into a great opportunity. infrastructure is mostly done. we have 2 year round streams. we have a 2 acres fenced in with orchards, gardens, and ducks. there are multiple tiny home or rv sites available for rent with all utilities including internet. we have rv available for rent. we have a huge nursery and are ready to plant many more hundreds of plants this winter. we have an ideal location a minutes walk away from a local pub and natural food store. also can launch a kayak in that same walk, into the sound. neighbor above has 20 acres and is a great friend. we have similar aspirations with water systems and orchards. lots of ponds and earthworks to happen. hipcamp next year. love to chat and receive a statement of interest to join our flourishing project. We have a permaculture forestry and orchard site of 9 acres in discoverybay , wa. Its a few minute from Sequim and Port Townsend. Our neighbor shares a lot of the infrastructure with us and he has 20 acres. He's planning to do the same stuff as us, and thus we have the makings of a very strong, sizeable, and significant community. We work in the trades and have considerable skills, experience, tools, and connections to help us manifest our goals. We aim to do predominately perennial ag with lots of fruit and nut orchards. Some of the forest has to be thinned and worked over to establish orchards. We may use pigs for a few years to accomplish this. We are seeking new renters and community members on our land. So far it is myself and my daughter( who lives here 1/2 time. And another couple who has recently moved in. We are in our mid 30's and wish to encourage other young families to move in. 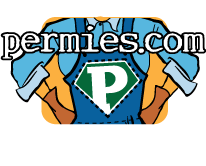 We are very hip, experienced, knowledgeable, and capable permaculture designers, laborers, farmers, carpenters, machine operators, and preppers. We believe in healthy organic lifestlye above all us including native american traditions and plant medicines. We also love to ferment and make lots of homemade wine and cider. We have 3 pads available for rv's or tiny homes. We have electrical, water, and telecom hookups ready. We have a boneyard with gear and materials, in addition to lots of space. Rent is $465 including all utilities and trash. We have extensive connections in the region to help people find work, friends, and opportunities. We have 2 year round streams on the land. We love to have kids around that can play and explore on their own. We have 300 row feet of garden and thus lots of room to grow lots of annuals. There is a large nursery and medicinal plant beds too. We have a design done for part of the land and a lot more potential. We are working to create and LLC to share the land in common. We seek more land members, but first ask a period of 6months of living onsite or getting involved with us in some form before we consider membership. The price of the land was very cheap so the mortgage is very small and new members buy in costs can quickly be used to develop the land. We have heaps of power and water to play with. We also have development rights on our lowest tier near the road to build a commercial building for rental workshops, cidery, apartment, and more. The land is really gorgeous and has heaps of assets. We welcome conversation, tours, questions, and more. We are located in Discovery Bay near the 101. It is a great junction point between sequim, port townsend and the 104 to drive toward seattle. a 3 minute walk from our land is the d bay village store, sea change cannabis, a sports equipment store, and the detour: a coffee shop and tasting room. it is an ideal asset to have as a neighbor as the community gathers here. there is music, film, meetings, and more. Another neighbor we have is planning to build a wedding/ event center permaculture farm on 55 acres. they have huge plans, and are awesome people.